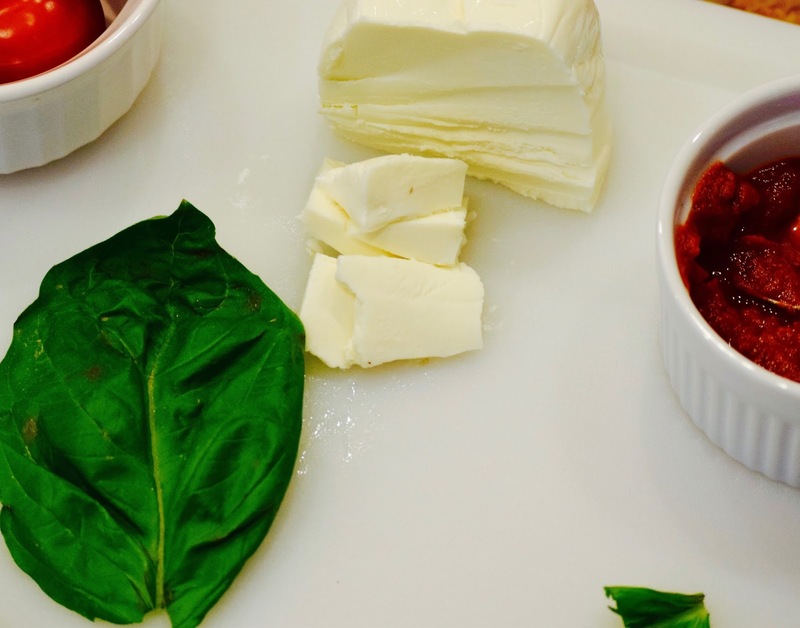 One of our favorite snacks to munch on in our household is cheese and not just any cheese but fresh mozzarella. Stella Fresh Mozzarella cheese have incredible cheeses. With it's history dating al the way back to 1923, these cheeses are sure to enhance every dish you make! I love the subtle flavor and Lily loves the soft creamy texture. I usually keep a few of their 8 ounce balls in the fridge just to throw on a handmade pizza or make an ooey gooey grilled cheese with. With summer in full swing already here in Georgia and entertaining always on the menu, I wanted to create something fun, easy and all around delicious. Calzones are super simple to make ( and have your toddler help! ) so I got to work gathering up my 4 ingredients. 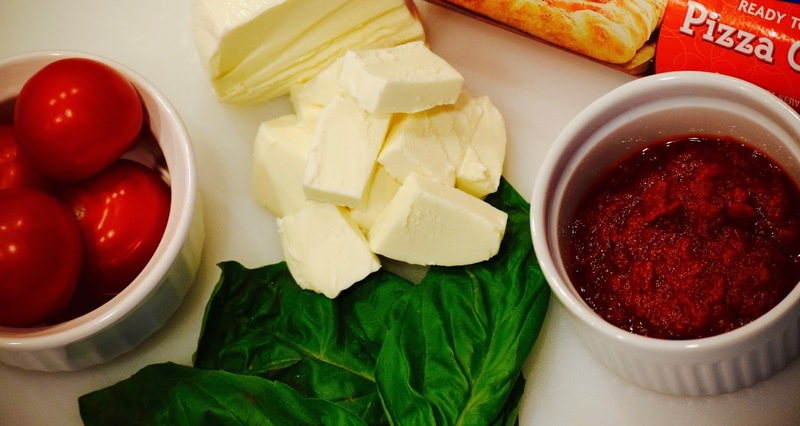 Here's what you'll need to make this easy Caprese Calzone. 6. Bake calzones for 12-15 minutes or until golden brown on top. 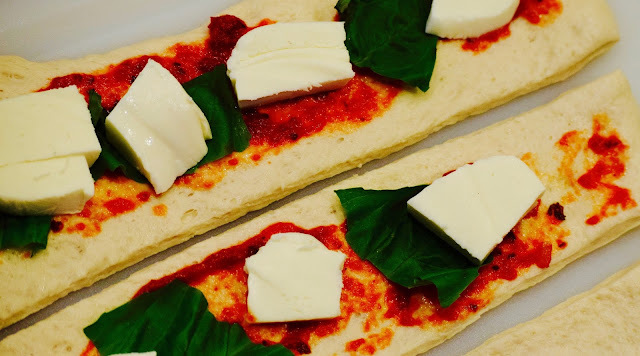 Make sure to find these amazing mozzarella cheese's at your local grocery store and grab a $1 off coupon too! You can also find amazing other recipes that other's have posted on their Instagram, Pinterest or Facebook boards! I'm pinning away and already finding other great recipes to try soon for friend gatherings this summer. 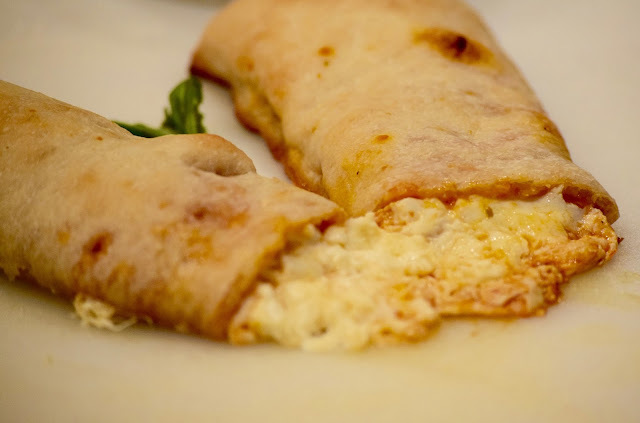 What are your favorite calzones to make? Such a great idea! Will definitely try this! Yum! 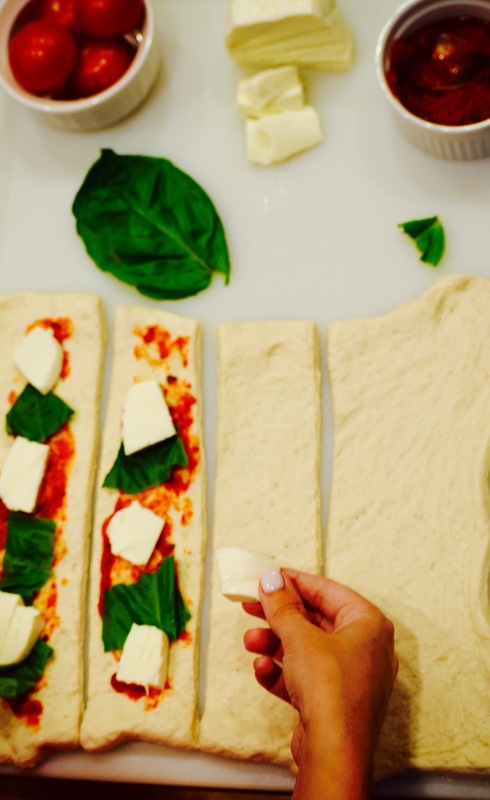 The mozzarella and basil sounds so refreshing! I need to make these! What a great idea! 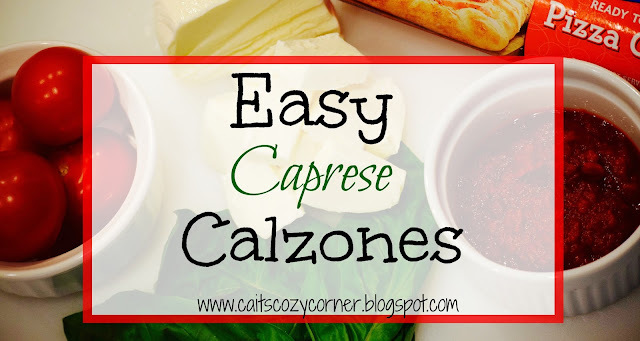 I never though to make calzones at home but this sounds very easy and you can chose your own ingredients. These look so good! Basically anything that reminds me of pizza is a winner!! !